Imagine you’re spirited away from your house without warning, leaving behind its central heating, fridge freezer and close proximity to a supermarket, and you’re dropped beside a cabin in a remote forest. You’re not interested in escaping, but you do want to survive. What would your essential requirements be and how would you manage? Deciding how difficult to make life for my characters in their cabin in a forest was one of the best bits of writing Our Endless Numbered Days. There were hundreds of decisions to make, and each one had massive implications for the story and characters; whether they lived or died. Firstly food and water: I needed my characters to be able to get through the severe winters and to find enough food, but novels are all about tension, so I didn’t want to make life too cosy for them. I wrote them an axe, a knife and a gun. And then I took the gun away. (You can do that if you’re a writer.) I think I was quite generous – I gave them a bag of rice to get started, a fishing rod and some seeds for when the spring came. But then, since I also controlled the travel arrangements and the weather, I had them arrive at the cabin in late summer, and gave them the worst winter ever. Their food sources – the berries, mushrooms, squirrels, rabbits and fish – disappeared. I let them have a month or so of preparations before the really bad weather hit, so they were able to chop some wood and dry some squirrel and rabbit meat. But then, half way through that first winter I had them realise they had miscalculated the amount of food they would need, and they faced starvation. The next thing to consider (although of course, I didn’t make decisions consecutively, but all in a jumble) was warmth. There was a stove in the cabin which they used for cooking and for heat, but no blankets. Conveniently you could say, my characters arrived fully dressed with dungarees and coats and shoes, but I couldn’t let them have it quite that easy, so one of them lost a shoe before she even made it to the cabin. I’m not much of a planner when I write, and sometimes I write things which surprise even me – like the losing of a shoe – and then have to deal with the consequences throughout the rest of the novel. And the consequences can be huge. What do you do if you only have three pieces of footwear between two people? Shoes can be shared, but then only one person at a time can go outside in winter, which makes it very difficult to hunt large animals, which means you have to hunt or forage every day. Or shoes can be improvised from roof shingles and fur, but what if the fur rots? Or you can go bare-foot, but what if you have to run away from something very fast? There were many items that my characters didn’t take with them or ran out of: toothpaste for instance; a couple of tubes aren’t going to last long, and the consequences of a lack of dental hygiene was paid for years later. String and rope – crucial for forest survival. My characters learned how to make it from nettles. Salt – I worried for a long time that my characters wouldn’t live without it, but after lots of research I decided that they would probably get enough from the animals they ate. Soap – this can be made from lye (hardwood ashes) and animal fat. I even considered how my female character, Peggy, would manage when her periods started. Some of these things didn’t make it into the novel; I didn’t want it to become a survivalists’ handbook, but I hope I thought about all the major necessities. So, back to that ‘Desert Island Disc’ question I started with. After all my thinking and research I like to imagine I’d do alright if I was air-lifted from my comfortable sofa and dropped in a forest. How about you? Many thanks to Claire for joining me on my comfortable Literary Sofa today and making us think about all the things we take for granted, just as the novel does. It is rare for me to be able to write about a book I read months ago without looking at it again or referring to my notes, and it’s a good sign. 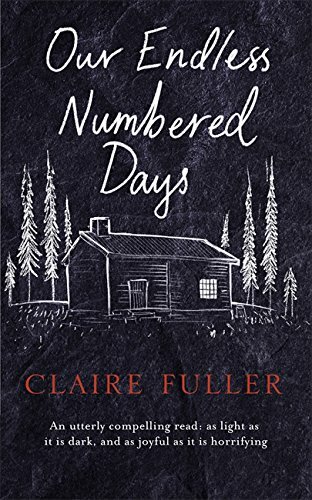 With this novel, Claire Fuller demonstrates great flair in two of the key areas by which fiction stands or falls: creating an immersive and believable world – in this case, one in which civilization itself fades from view – and bringing to life a protagonist the reader really cares about. Peggy and her experiences in the forest, in all their beauty and horror, were so vivid and visceral that I was moved, distressed and fraught with anxiety about what was going to happen to her as the story progressed. Apart from the journey to Germany, where my interest flagged a little (maybe I’m just an impatient traveller), the pacing and building of suspense were handled very well, the denouement breathtakingly so. And if all that weren’t enough, the writing has a spare beauty that I absolutely loved – this is a novel that will stay with me for a long time. 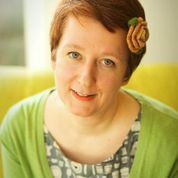 I’ve just started reading Claire’s novel, and enjoying it immensely, so glad this post didn’t give too much away. I’m not sure if I could write a survivalist narrative myself, I find it a really interesting area to contemplate, but don’t like to go into it too deeply in my thoughts. I do manage to grow my own vegetables and even save some of the seeds for the next year, but otherwise I’m very lacking in practical skills. Thank you very much, Isabel and Claire, for a fascinating post. I have just started reading Our Endless Numbered Days and find it hard to put down. I might continue to buy soap from the supermarket, but wouldn’t mind trying on a pair of roof shingle shoes. I thoroughly enjoyed Claire describing the ways in which she tried to create the right tension for her characters. Also, I look forward to reading this hot pick.